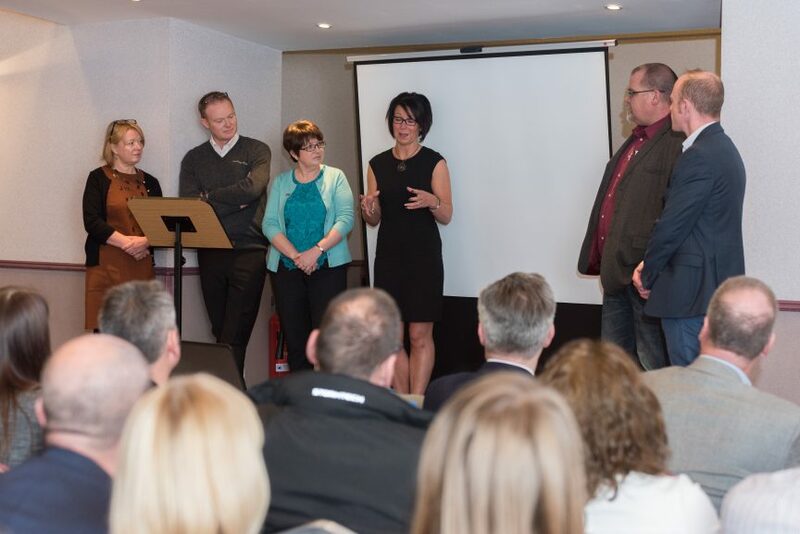 After an exciting programme of events tailored to suit all businesses, Moray Chamber of Commerce hosted the Moray Business Summit – the final Event of Moray Business Week. Over 65 representatives from a wide variety of businesses gathered at the Laichmoray Hotel on 18th November to hear from guest speakers and bang the drum for Moray. The guest speakers, all from very different proud Moray businesses, discussed why we should all bang the drum for Moray. They discussed their own businesses and how they operate, as well as highlighting the positives of owning a business in this area. Gill Neill from Elgin Business Improvement District gave examples of local innovative businesses and discussed how they go the extra mile to stay on top in a difficult business environment. Sarah Medcraf, CEO of Moray Chamber of Commerce said “This year’s summit focussed on why we do business here in Moray. What our businesses do to complement the online world, rather than compete and how to stay ahead of the game to get customers through the door. We got insight into local businesses and how they continue to tackle the tough business climate. We hope to host the event once again in Moray Business Week 2017.